History at Westholme is definitely a popular subject and one that interests our students a great deal. The passion they have for this subject begins with our youngest students at the Infant and Junior Schools and by the time students reach Senior School, they really do enjoy expanding their knowledge of the subject. A wide range of topics are covered and interactive lessons and Co Curricular activities help to bring the subject alive. Our recent display in the LRC of castles and shields that our Year 7 students have designed and taking part in our Concert of Remembrance to mark the centenary of the end of WWI last term are good examples of this. Trips and visits also enhance the curriculum which is diverse and always expanding; study on China and a further development of local history are new topics for our students. Other issues the students tackle have included a comparison of the Great Fire of London and Grenfell Tower. They found this subject to be interesting, despite its controversial and sensitive nature and our final report stated, “This focus area reflects on the confidence of our History department to engage in such issues to develop historical thinking among the pupils”. 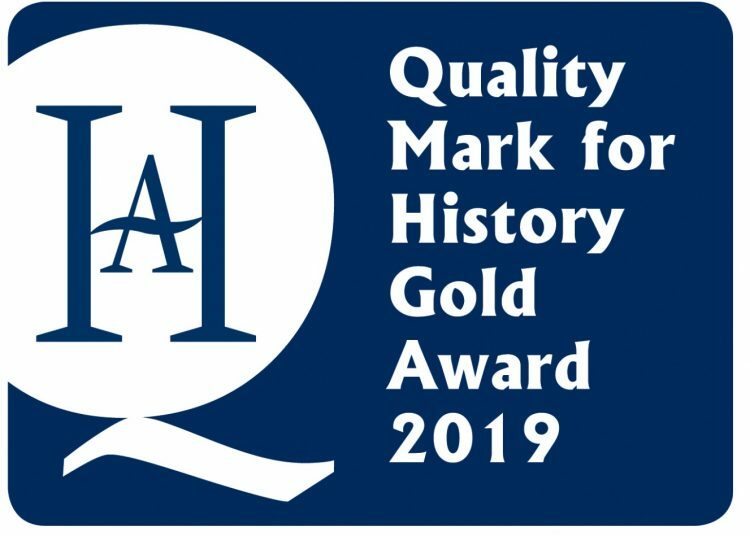 Congratulations to the history department for this amazing achievement!